Grow lights are available in an incredibly wide amount of prices, sizes, and styles. 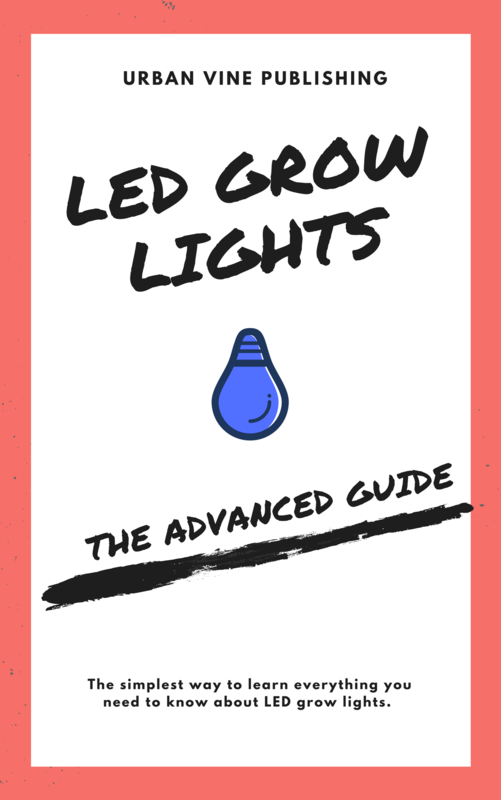 For a complete guide to the different types of grow lights and a discussion of their strengths and weaknesses, check out this article. For someone just starting out with grow lights, navigating the process to buy the correct light is not always a simple task. How far should my plants be from grow lights? What height should my LED grow lights be? There are many factors, the first of which is the amount of space you have available. If you don't have the space to operate a certain type of grow light, you won't be able to use it. The reality is that different grow light types will require different amounts of spacing in between the bulbs and fixture and the plants. If your plants are too close to the lighting, they will at the very least have lower yield and your plants may even be burned. "Incandescent light bulbs should be at least 24 inches over your plants. Fluorescents and LEDs have a lower heat signature, so they can be placed 12 and 6 inches over plants respectively"
When space is efficiently used with grow lights, vertical farming stacks can also be feasible by creating multiple layers of plant beds and grow lights. To get an approximate idea of the space you will need vertically, see the tables below for LED (light emitting diode) and HPS (high pressure sodium) lighting. 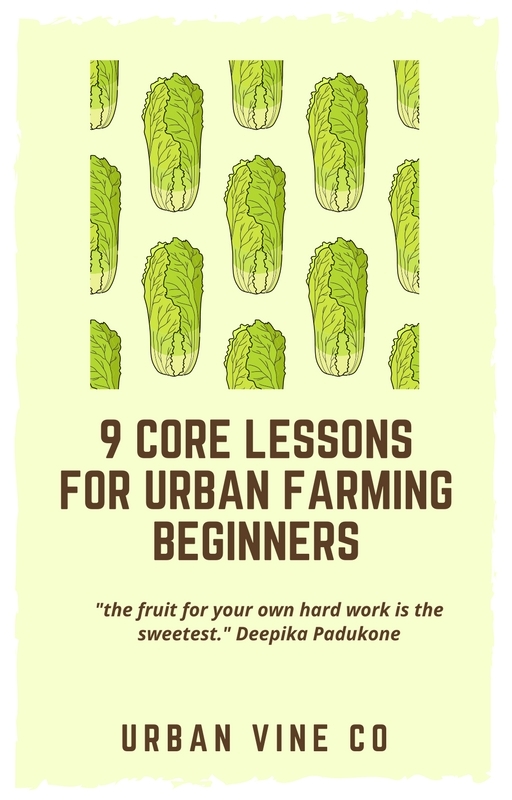 At the end of the day, the spacing necessary will have a lot to do with the strength of the light - the stronger the light, the more space needed is a fair rule of thumb for urban farming beginners who don't want to over-complicate planning. Once you have a general idea of what type AND strength of lights you are interested in buying, you can now use a grow light distance chart to optimize your grow light spacing even further. 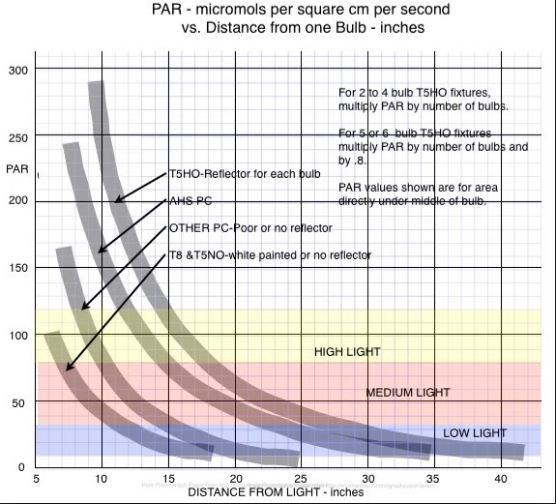 Grow light distance charts can also be referred to as PAR vs distance charts (see example below). Although it is beyond the scope of this article, once you know your grow light type and desired grow light spacing, you can increase your yield by changing grow light spacing at different stages of plant growth. For commercial growers trying to perfectly optimize yield, there is even grow light planning software that helps optimize layout of a grow room. By now you should have a better idea of what grow light may be best for your needs, given the amount of space you have available. With that, let's move onto guideline #2: heat emitted by grow lights, and how this affects your buying decision. How much heat do grow lights generate? Do LED grow lights give off heat? Which grow lights have low heat? How do BTUs compare for different grow lights? As outlined in this Quora post, "Do all sources of Light Produce Heat?" - There are 3 types of radiation or "light"
So, what is this important? Simply because: the efficiency of a grow light to convert electrical energy into visible light results in less heat produced from the light. Why is less heat good for a grow light? 1) Excess heat can burn plants and otherwise reduce yield. 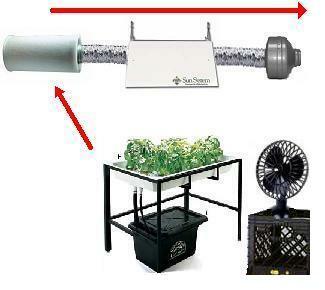 2) Excess heat means less visible light output which your plants can use for every $ spent. Now, how do different grow light heat outputs compare? CFL, T5, and T8 will typically have modest power draws and efficiency. Will generate more heat than an LED but less than HID lights. Will generate significant heat, may need to use with fans or other tools for ventilation. To get the power benefits of HID lights while reducing the heat creation, ceramic metal halide (CMH) grow lights offer less heat output but are more expensive than HPS or MH. Minimal heat, high efficiency. 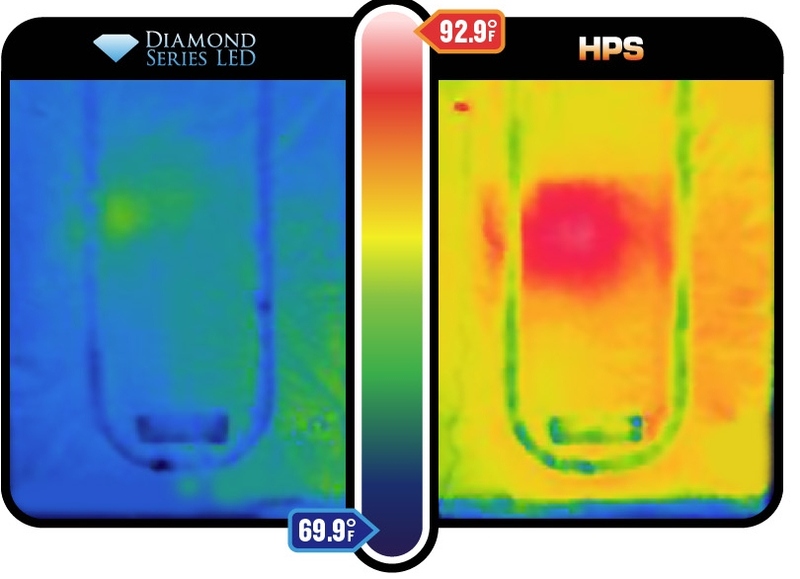 Heat output decreases typically as price & quality increases. Quantifying Heat Generation: How do BTUs compare for different grow lights? BTU's also known as British Thermal Units, is a thermal metric to help measure temperature in your growing space. In recent years, BTU calculators (example above) have been popular tools used to make sure that the heat generated by your grow light does not cause your room to overheat. Knowing the exact quantity of heat generated by your grow light system will help you determine what type (if any) of heat reducing tools you need. These may include tools like fans or pumps (image below). BTU Calculations are meant to be general guides. Factors such as insulation, ambient temperature outside, and ceiling height can affect the thermodynamics of any given indoor growing space. In many cases, you will not know the best way to address over-heating from grow lights until you do some experimentation. affect your decision when deciding to purchase a grow light. Next, you will learn about key grow light technical specifications to look out for when looking at different types of grow lights. 3. 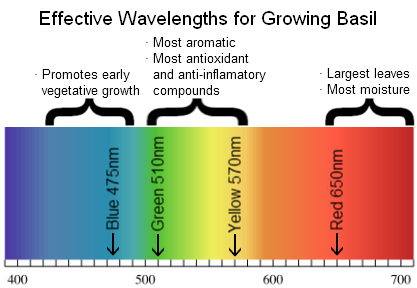 What is your target grow light intensity, color, and day-length / rated life? Typically what humans refer to as "light" is actually only the visible area of the light spectrum (~400 - 750 nanometers). 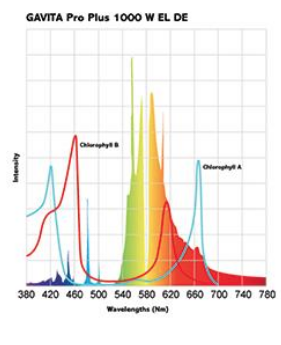 This visible light spectra range covers most of the range of wavelengths needed to grow plants, known as the PAR or photosynthetically active radiation. 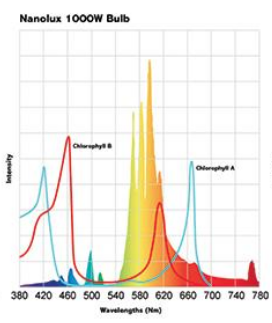 Certain color spectra within the PAR are better for growing plants than others. 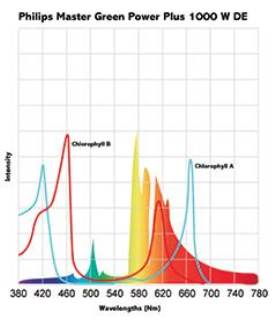 "Red" and "Blue" light spectra are ideal for plant growth, with red being associated more with the flowering stage of plant growth and blue with the vegetative stage. color is measured by wavelength (in nanometers). One of the biggest advantages of LED lighting is that it has highly customizable wavelength capabilities without changing fixtures. This results in the ability to custom-tailor the light regiment for a plant in order to create optimal qualities like flavor, texture, or even plant color. 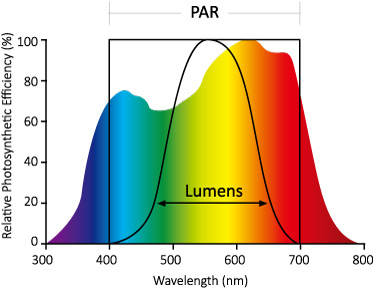 1. the complete PAR spectrum (400 nm - 700 nm), with an emphasis on the red and blue wavelength ranges. 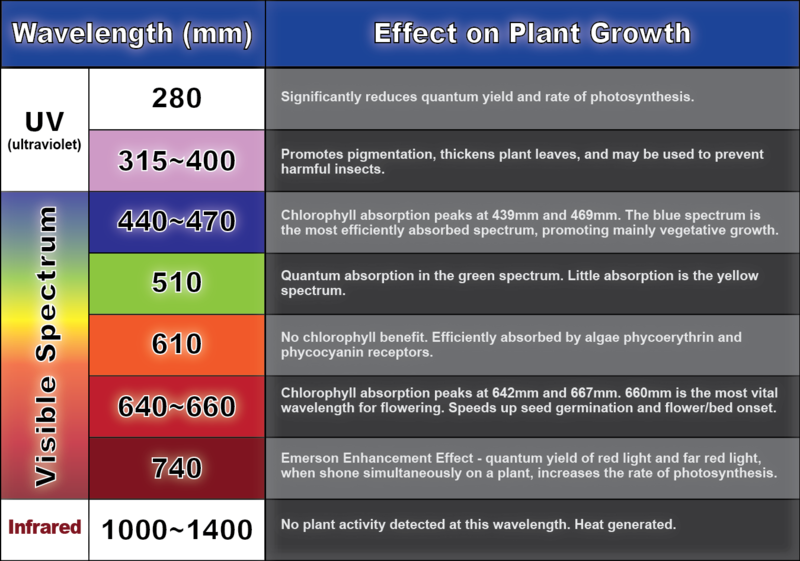 As seen above, each wavelength of light promotes specific effects on plant growth. What are lumens? Why are lumens important? Lumens are defined as, "a unit of measure describing the total quantity of light from the visible spectrum that is emitted from a source of light (in all directions)". Lumens are important because they determine the maximum amount of light your plants can absorb. Without enough brightness (lumens), you will not be able to grow your plants as effectively as you like (if at all). What is lux? Why is lux important? Lux is simply lumens per meter squared. It is important because the amount of light which reaches your plant canopy is a more useful metric to know than the amount of light which your grow light emits. Keep in mind however, that lux is a measure of light visible to humans, NOT plants. 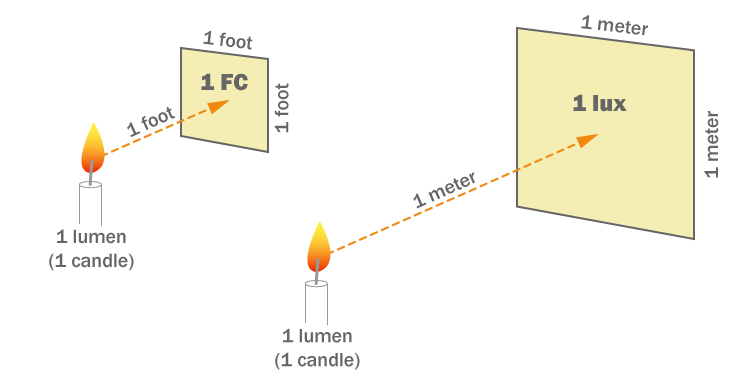 In order to get a better concept of light visible to plants, you must use PAR measurement instead of lux. How is PAR Quantified? Why is this metric important? PAR photon irradiance (often abbreviated as just PAR) is a metric which gives allows the best understanding of the light which your plants are getting from your grow light. The recommended units of measurement for PAR, µmol m-2s-1. 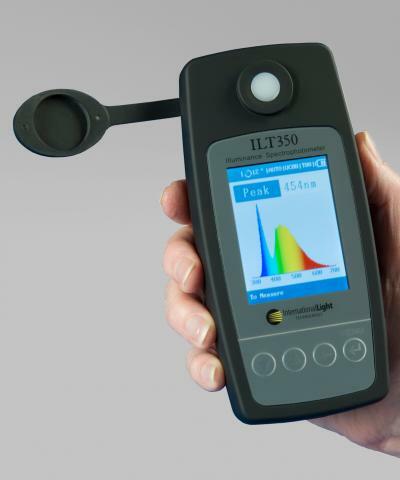 The most accurate instrument for measuring a light’s output is a spectroradiometer. Knowing spectroradiometer patterns will help you make a decision between different grow lights. 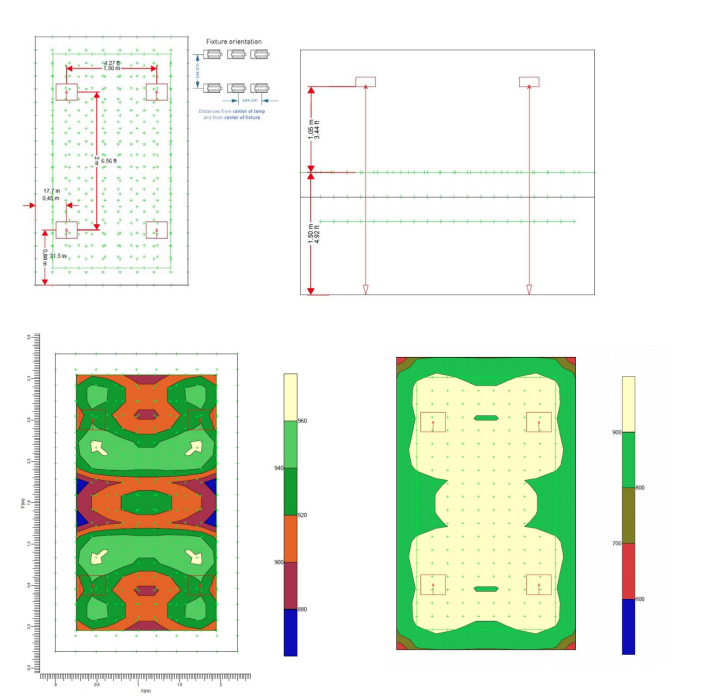 What you want to avoid, is irregular patterns of PAR photon irradiance (Fixture 3, below). What are watts? Why are watts important? A watt is defined as a unit that shows the rate at which electrical power is used by the grow light. 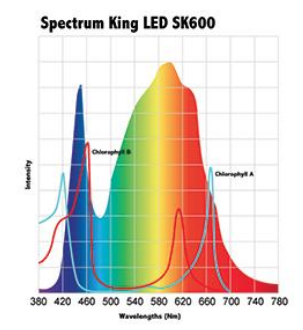 Watts are important because grow light manufacturers will commonly display Wattage in their product specs as a proxy for the power capability of the light. Keep in mind that with led grow lights, efficiency goes down as watts increase. The light strength of an LED grow light is not a direct function of Wattage. It is influenced by the quality of components and design feature, including the particular LED chip used, chip density, optics used, heat sink, and the driver. 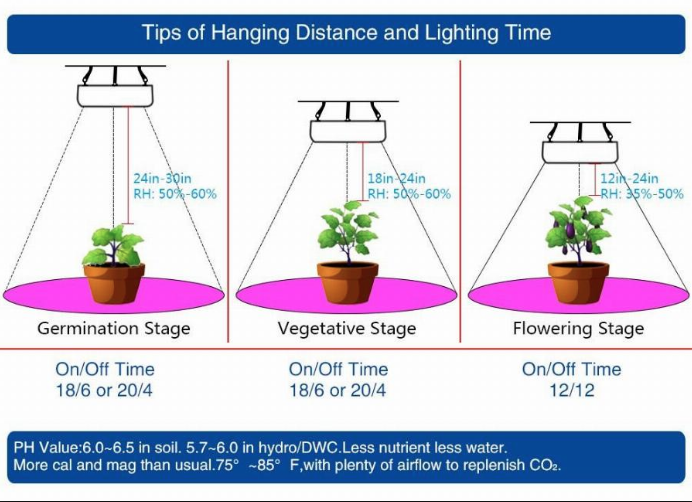 In reality, most LED grow lights are less efficient as wattage goes up. Higher temperatures in the semiconductor circuit board containing the LEDs cause significant decrease in LED efficiency. 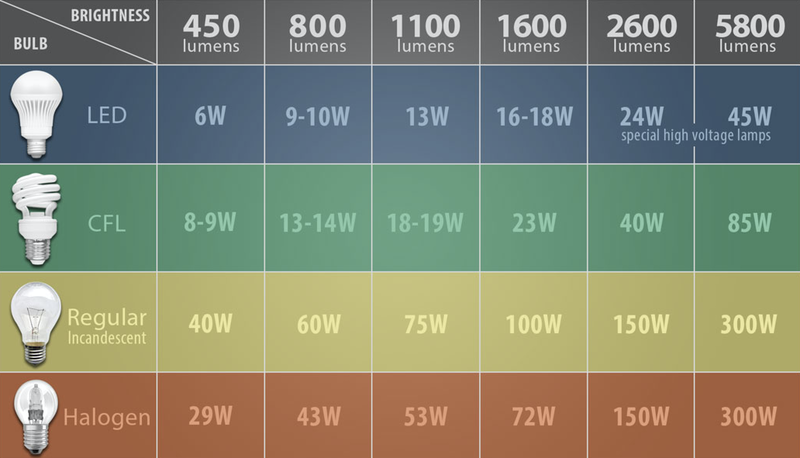 Despite this fact, the lumens per watt in an LED, regardless of the wattage, will still be higher than many other types of light bulbs (see image below). 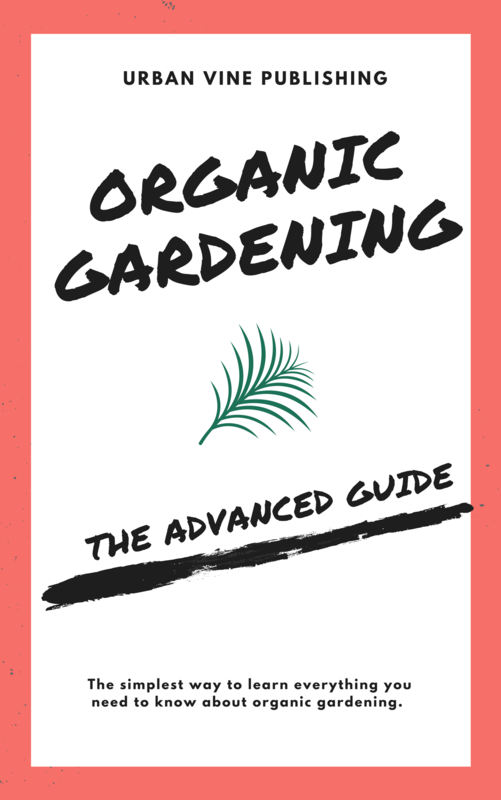 ‍A last important spec to consider is rated life of your lighting and how that coincides with not only your budget but your "day-length", or how long you are using your grow lights on a day to day basis. While some types of grow lights have rated lifetimes of over 10 years, warranties on lights often will fall into the 3-5 year range. The durability of your light will be determined primarily by how you use it. One of the most important metrics to consider when buying your first grow light is the price of the grow light. The good news for grow lights is this: there are a lot of options at all price points. $$: T5, T8, T12 fluorescent: good value for less than 100 USD. A 4 tube T5 grow light system can generate multiple hundreds of dollars worth of produce in a year (1-2 year pay back period with all other costs factored in besides lighting). $$$$: Most heavy duty commercial style systems will involve high pressure sodium/metal halide (collectively referred to as HID or high intensity discharge)and high priced options are increasingly now appearing for LED systems. These systems will range in the thousands of dollars+ (USD) and will often be part of larger systems involving grow tents, grow "boxes", air filters, fans, controlled environment features, etc. There are over 57,000 results on Amazon.com for the search term "grow lights". This vast array of options is not equal as far as quality goes. For grow lights, ratings and reviews on sites like Amazon, Alibaba, or even niche sites for grow lights may not guarantee you are receiving the product quality you paid for. With grow lights, the technical specs in reality often are not as advertised, even for a brand new product. In this case study from Albopepper.com the true wattage of brand new LED grow lights varied wildly (one light had 34.2% lower wattage than advertised). When you are paying for grow lights, a lot of what you are paying for is wattage, so this is a serious risk to consider when buying grow lights. This sort of issue could cost you hundreds if not thousands of dollars, and, most importantly, time, if undetected. 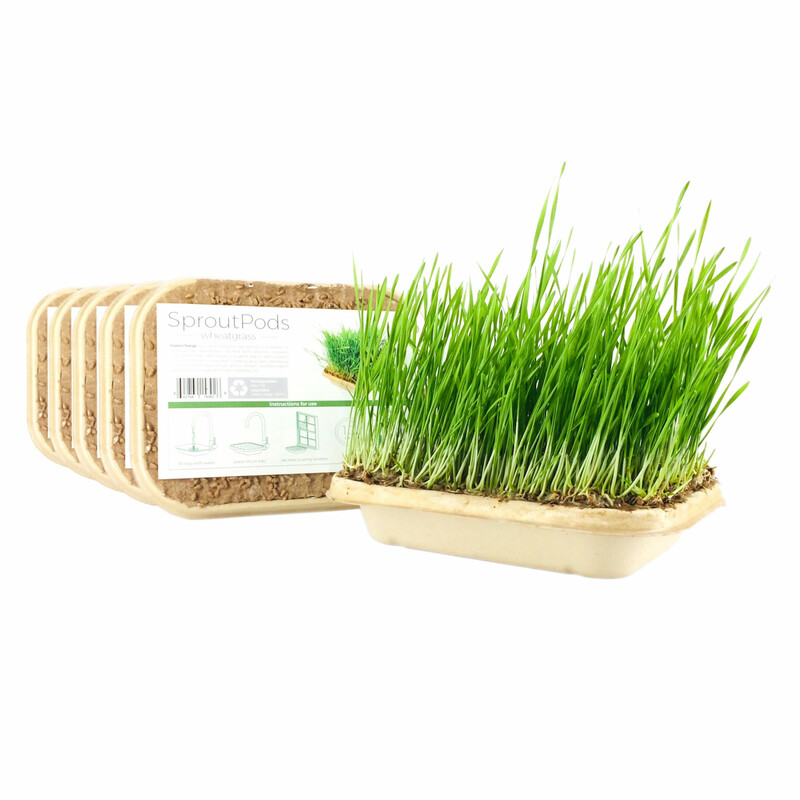 Solution: trusted brands like Lumigrow may have more expensive products but also have a long track record of shipping consistently performing products. International products from countries like China should be reviewed thoroughly. ballast/fixture: grow light systems require an electrical component called a ballast to regulate the power supply in the grow light. if you are buying just a bulb, of course you will also need a ballast. this is a necessary component for lights. ballasts can be purchased independently from grow lights but grow lights can also have the ballasts incorporated into unit. grow tents: grow tents are another feature mainly seen with more expensive systems. Tip: It's worth noting that many of the benefits of a grow tent that help create a more controlled growing environment can be replicated cheaply DIY (not all the benefits). 1) Know the rate paid for electricity: this will typically be expressed in cents / kWhr (kilowatt hr). Your kWhr price can be provided by your electricity provider. Keep in mind that the full cost of your electricity is not just the kWhr cost. There will always be fees + taxes added onto the base kWhr price. For example, if your kWhr price is $0.08/kWhr, your total electricity cost will be closer to $0.12/kWhr after taxes and fees from your provider. 2) Know the wattage of your bulbs. Given the kWhr prices above, if you are using 2 40w fluorescent bulbs, then your total wattage is 80 w (40 * 2). To find the cost of operation, divide 80/1000 (1000 because the unit is kilowatt hrs), then multiply by $0.12/kWr. Now, the issue is, with two 40w fluorescent bulbs you will not have enough lumens to effectively grow most crops. Lets use the same example, with a 600 W HID Discharge bulb. 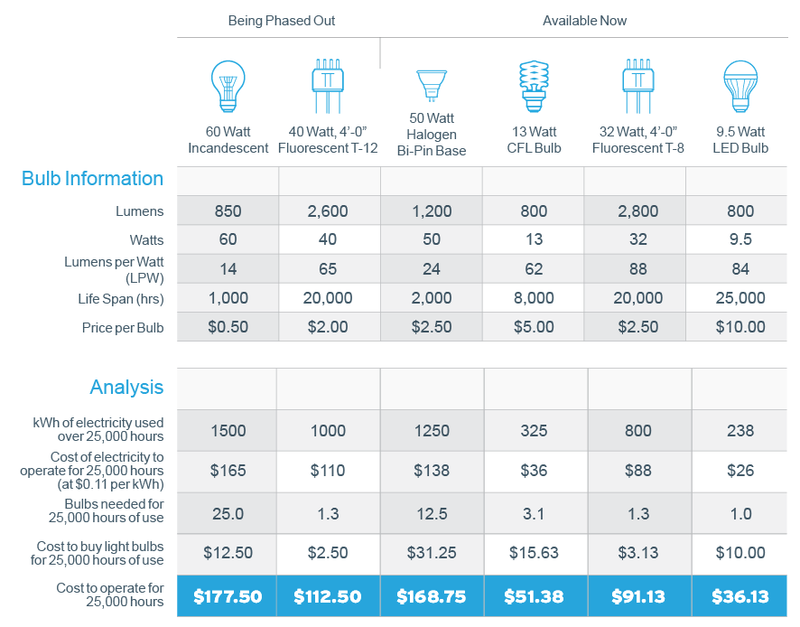 As you can see, more wattage typically means more cost to operate on a unit scale. 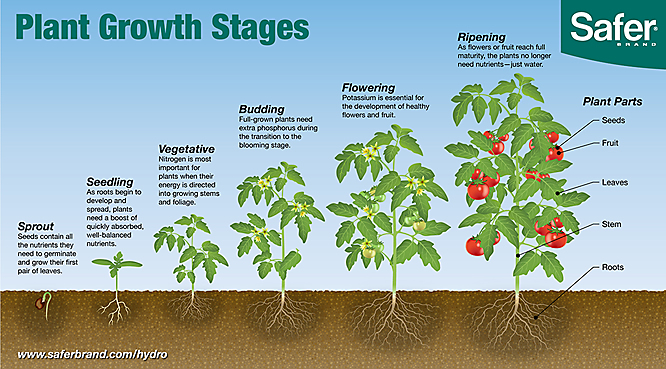 The upside is that your grow will have better results! 1. CFL is best for small grows by non professionals, typically do not scale well niether from a cost or yeild perspective. 2. HID is currently still the best at scale for most commercial applications, although with the rapid advance of LED's grow light technology the advantages over LEDs at scale are less and less significant. 3. LED is the grow light technology that has gained the most ground in the past decade. It offers many scalability advantages that neither CFL or HID offer. Verdict: If you are interested in scalability and are willing to invest capital in the long term growth of your grow light system, upper end LED's will once again be the best way to go. 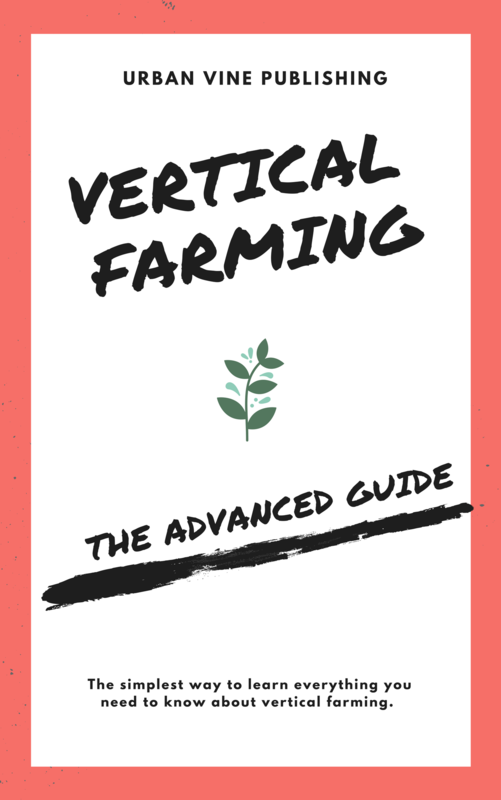 As detailed in 7 tips for vertical farming beginners, not all grow lights have the same safety risks. 2) the materials that are present in the light itself. In both of these categories, LEDs have a clear advantage. 1) For household growing projects where pets or children may be disturbing the lights, LEDs are much less likely to break when knocked down or jostled, due to the small size of the diodes and the way they are situated in the fixture. Other lighting systems like fluorescent tubes and HPS lighting can be very fragile and will shatter or even explode if they are knocked over with enough force. 2a: Fire - it is a common misconception that fires started by grow lights are caused simply by heat creation. Many fires casued by grow lights are electrical fires that result from incorrect electrical sources not designed for grow lights. Large grow light fixtures typically require 220 V "dryer" outlets. Overloading your electrical outlet combined with long periods of running time can pose a risk for indoor growers. When grow lights cycle on and off, the moisture level in the growing spaces changes. This continuous changing of moisture (lights on = low moisture, lights off = condensing of moisture), can increase the risk of mold or mildew which can be harmful to humans. Many types of grow lights, with one exception being LEDs, have a significant amount of mercury present. The main problem is if these lights break, they can pose a health risk - anyone in the growing room can potentially inhale the mercury which can cause braind damage. Across many of these areas, LED's, while priciest, have the best safety profile. Do you eventually have commercial intentions? LED or HID are your best options. Do you just want to start a hobby? CFL or (some) LED's will be your best options. Are you trying to optimize your yield? HID or upper end LED's are your best options. CFL's will be your best option. Still have some questions about evaluating grow lights? - fundamentally, all grow lights are replicating the sun. however grow lights are not as powerful as the sun, plan to run grow lights for 12-18 hours per day. Timers can help you manage this cycle. - When looking for fixtures / ballasts look for ones that have reflectors. 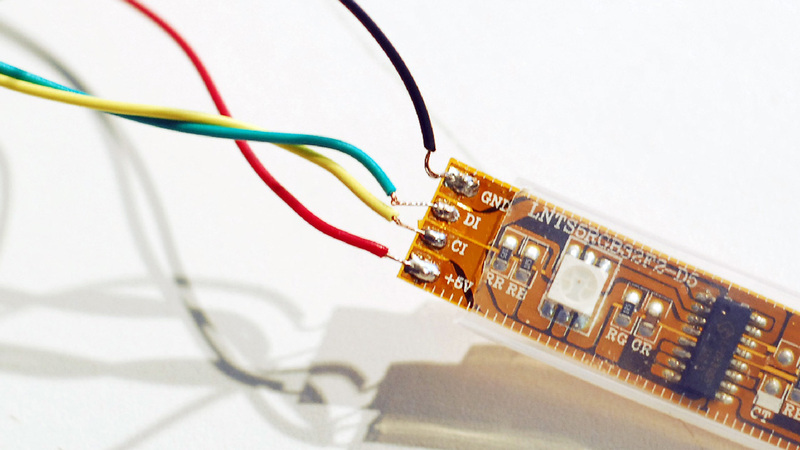 Reflectors will help you significantly increase the efficiency of your lights. As an example, fluorescent lights emit light in all directions with equal intensity. Without a reflector, up to half of your light will not be shining where it needs to shine: on your crops. - Roughly 2/3 of the your grow light expense should be the fixture/ballast and 1/3 of the expense should be the bulbs. other one time costs may involved for things like mounting. 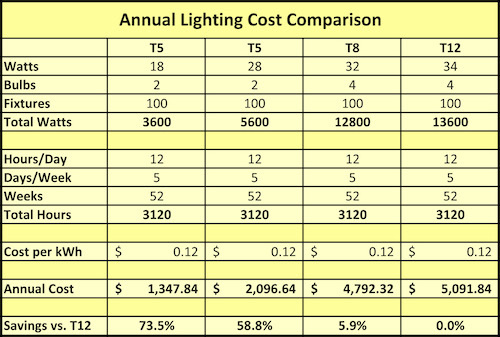 - A reasonable payback period for a non-commercial grow lighting system should be around 1-3 years.